Compromise – How do we Break the Deadlock? When you hear the top political candidates speak, one of the more common qualifications you hear them push is their ability to get compromise between democrats and republicans. What does a bipartisan compromise mean in America? One is when individual representatives decide to sacrifice their convictions on the current issue in exchange for pushing through their own pet project they know would never fly otherwise. We call this pork. Another is to remove all the parts of the bill that are offensive to anyone, usually removing the taxes that will pay for the project, or the regulations on how it will be used. Or they can just spread panic and try to push it through under public pressure before realization and regret set in. None of these are helpful. The second example, splitting the difference, is what most often appeals to the public. This is like having each party with a hand on the steering wheel. The Democrats wanting to turn left, the republicans right; meanwhile the media is in the back seat rooting for the underdog. We will hit the center divider every time. There are ways to affect compromise that aren’t dirty. An example would be this plan put forth by Bob Ingles. He proposes starting up a carbon tax (democrats want), but offsetting the tax by reducing taxes elsewhere, such as income taxes (republican opposition evaporates). I’m a fan of taxing problems to fund solutions. Pollution is a much bigger problem than income. If we give the free market incentive to clean up, they will do so. Since this is as much a behavioral issue as a technological one, I would consider it progress. Imperfect progress (for much the same reason as traffic cameras), but still far better than the business as usual methods of compromise. Who Should be Guardian of the Environment? Scientists have a problem. Average people, politicians, and religious zealots have no problem speaking in absolutes. They will pound their fists and say with unwavering conviction that what they are saying is truth incarnate. Scientists on the other hand have dedicated their careers and their world view to truth, the real thing, not that ‘I believe it, so it is true’ type the rest of us use. They can study the world around them and see the huge impact humanity has on the environment; see the dying species, track the changing climate, and still say only that it looks very likely that we are causing irreparable harm. It is therefore up to the rest of us to lend additional weight to their warnings. On an individual level we should be conscious of the impact we have on the environment and make an effort to do no harm. We should use our power in the free market to support and labor for only those companies which are environmentally responsible. Environmental crimes should be prosecuted as strongly, if not more so, than crimes against humanity, if for no other reason then because they are; but who should decide what is ok and what is criminal? Who decides when salmon have been overfished and forests overlogged? Who does the oversight to make sure the crimes aren’t ignored, and the penalties are worse than the benefits? Who has to tell people that their food will be more expensive and their job may be lost? In a monarchy, a king knows that if he thinks in a shortsighted fashion, he, or perhaps his children will likely have to clean up his mess and take the blame. In our current system as a federal republic our elected officials either serve short terms or are oft up for reelection. In a few years, they may be out of office, maybe even handing it over to a rival party. Whenever the media stirs up the latest circus, the politician needs to look busy if they are going to keep their position. If even every tenth politician sides with jobs over sustainability, or short term economics over long term environment, it still causes permanent damage. The diversity of an ecosystem can take thousands of years become healthy and well established. Government agencies such as the Forest Service (an agency of the U.S. Department of Agriculture) are only as good as those who pull their strings. The question remains, who should be the guardian of our environment? I would support an environmental amendment to the constitution. I think the environment is important enough that it needs to be everyone’s responsibility, both individually and collectively. The agencies can provide an important role, but should not be allowed to hinder the efforts of others. If California wants to reduce its pollution, it is not ok for the executive branch to hinder them. We need to care for the environment with the same fervor we claim for protecting our children and loving our country. It is both of these things. I’m convinced that the single best use of our resources at present would be energy research and infrastructure. Imagine how our world could be different right now if we had a plentiful, cheap, clean source of energy. 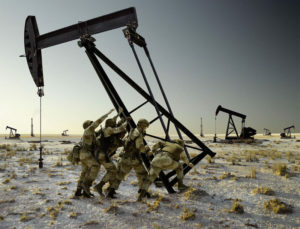 Oil rich countries would lose their sway over other nations. Energy can be used to obtain fresh water and make light. heat, and cold, thus making habitable and farmable nearly any place on the planet. Those places currently struggling for survival would be able to live comfortably and focus on things like education and society, rather than scrounging for food and making war. Educated people tend to have fewer children, further reducing overpopulaton and the problems that come with it. In recent times, we’ve seen some serious progress on the fronts of solar, electric vehicles, and storage, mostly due to the visionary efforts of Elon Musk. Sometimes when an industry has been colluding to not rock the boat despite advances in technology, all it takes is one powerful spark to ignite a chain reaction of change. We’ve seen other examples of this, like the Android operating system put out by Google, which broke Apple’s model of smartphones being proprietary and charging for things like ringtones and background images, and opened up the writing and publishing of apps to anyone with the skills to do so.